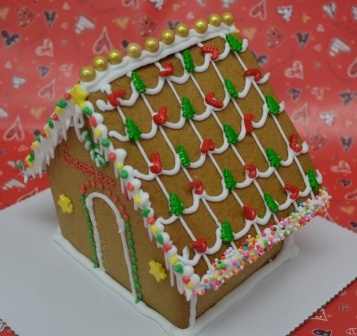 A fun activity for the Office Christmas Party or for the little ones at home. 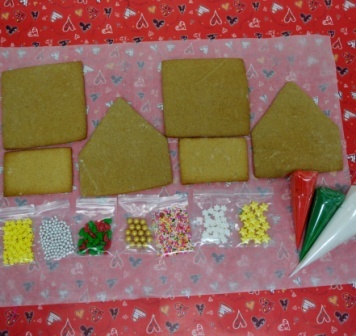 Kit comes with everything you need to make a mini gingerbread house including 6 gingerbread house pieces, a cardboard base, white royal icing, colored royal icing, and assorted sprinkles. Our royal icing is made with meringue powder imported from the US. Completed house measures appx W: 14 cm, L: 10.5 cm, H: 13 cm. Available throughout December.